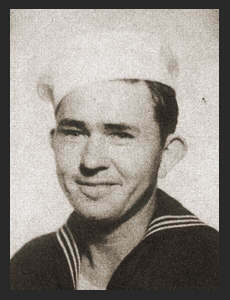 MM1/c Oscar F. Alexander, son of Mr. and Mrs. E. E. Alexander, graduated from Wilson High School, entered the Navy in March, 1943, trained in Camp Peary, Va., Rhode Island, Camp Parks, Port Hueneme, Cal., served in Australia, New Guinea, the Philippines. Awarded Asiatic Pacific Ribbon, Am. Theatre Ribbon, Phil. Liberation Ribbon with two Battle Stars.